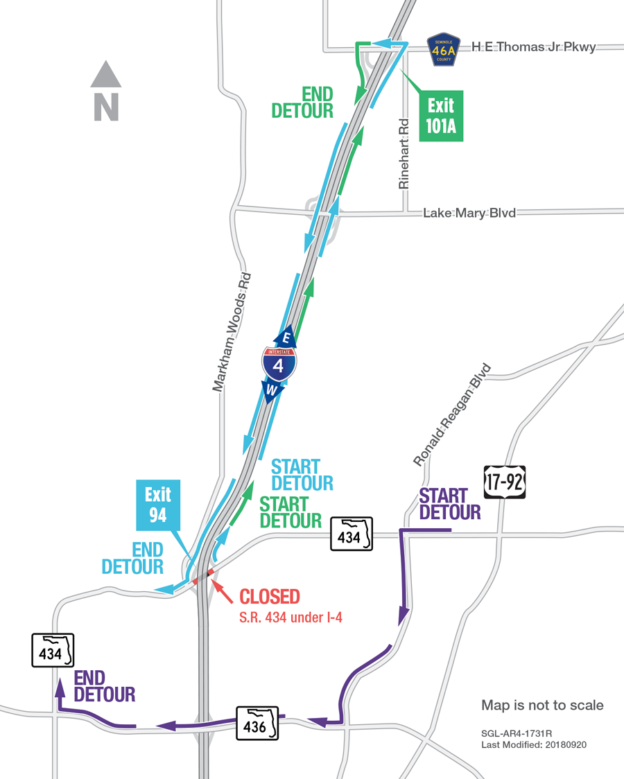 The Florida Department of Transportation (FDOT) is temporarily closing the westbound Interstate 4 (I-4) exit and entrance ramps at the Florida’s Turnpike interchange from 10 p.m. on Friday, January 25, until 5 a.m. on Monday, January 28. 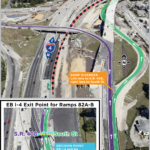 Motorists seeking to enter Florida’s Turnpike from westbound I-4 will need to exit I-4 onto southbound Kirkman Road (State Road 435), turn right onto International Drive, turn right again onto Universal Boulevard, enter eastbound I-4 from Universal Boulevard and use Exit 77 to Florida’s Turnpike. 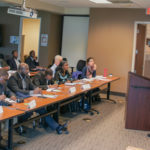 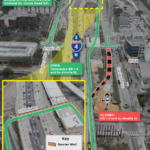 Motorists seeking to enter westbound I-4 from Florida’s Turnpike will need to exit onto eastbound I-4, use Exit 78 to Conroy Road and enter westbound I-4 from Conroy Road. 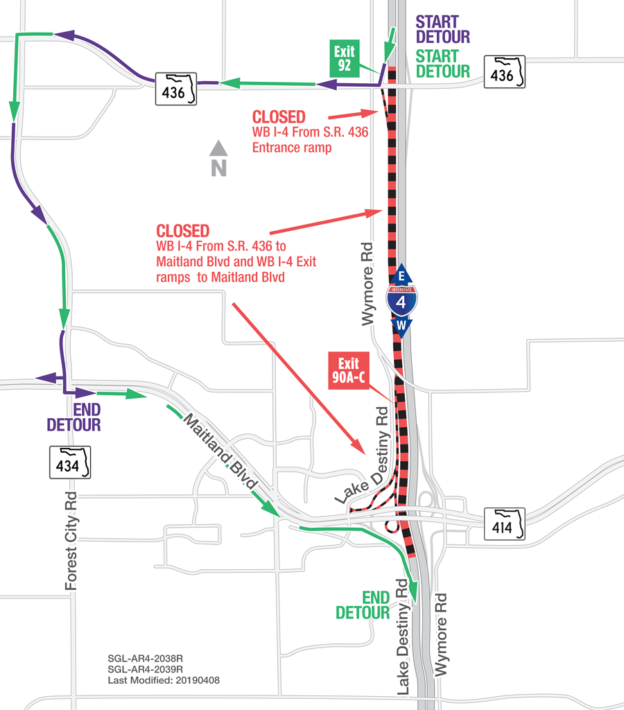 These closures are necessary to complete the ramp connections in the area following a shift set to occur Friday night, where the westbound I-4 travel lanes between Conroy Road and Florida’s Turnpike will shift to the old eastbound I-4 lanes. 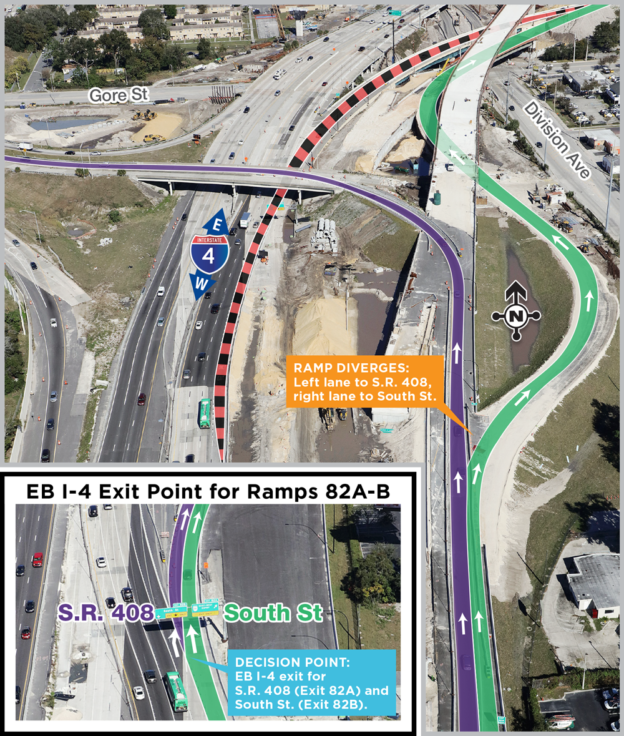 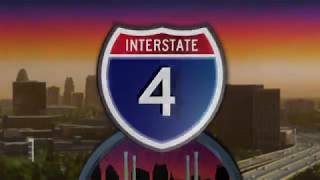 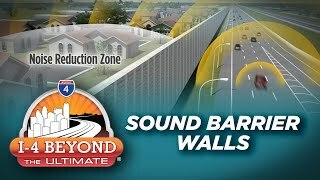 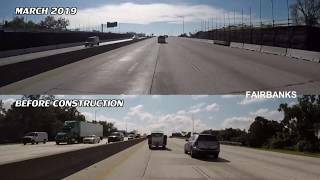 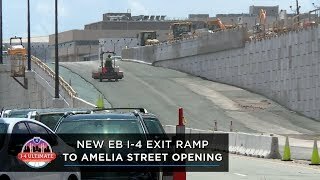 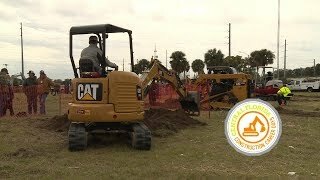 I-4 Ultimate crews will work through the weekend to construct the temporary connection between the westbound I-4 travel lanes and the Florida’s Turnpike ramps. 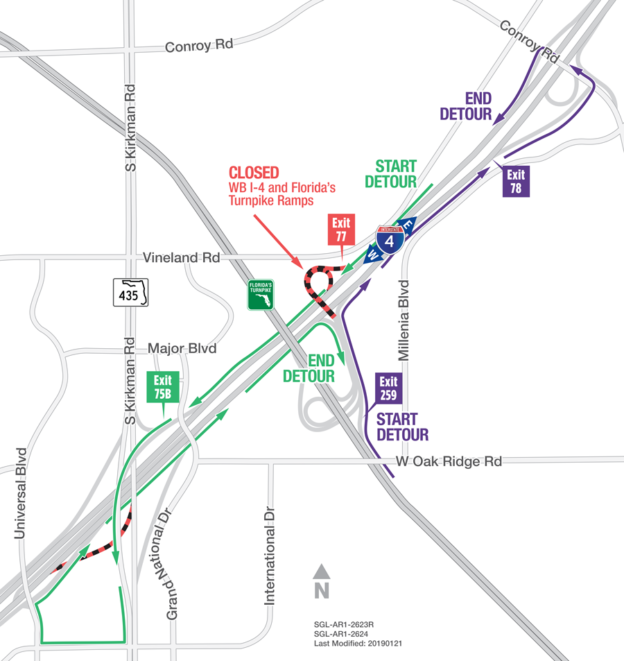 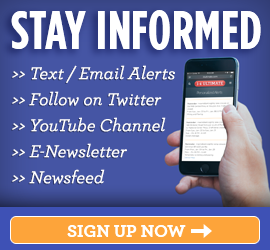 View or download a handout of these closures and detour routes.